Home / Shop / Books / Science and Technology / Physics and Astronomy / Space-Based Solar Power: Feasible Idea or Folly? Space-based solar power (SBSP) is a concept for a revolutionary energy system. It involves placing into orbit stupendously large orbital power plants—kilometers across—which collect the sun‘s raw energy and beam it down to where it is needed on the earth. In theory, SBSP could scale to meet all of humanity‘s energy needs, providing virtually unlimited green, renewable power to an energy-hungry world. With growing international awareness of energy security challenges, the promise of space-based solar power for clean and unlimited energy for all humankind is certainly appealing. While significant progress continues in the enabling technologies of such systems, is there compelling evidence that space-based solar power systems will provide the best energy solution? How does the Army’s current approach to incorporating a diverse portfolio of renewable energy sources in distributed locations compare with the potential of enterprise ventures that beam energy from solar collectors in space? For more than 4 decades, many credible organizations in government and industry have explored the concept of space-based solar power. But their serious studies often conclude that such systems remain on the future horizon, usually at least 10 years away from practical application. 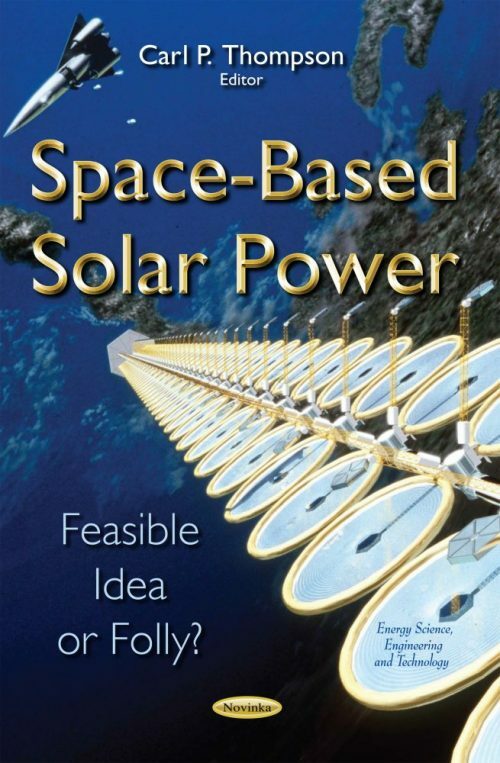 This book posits that, while space-based solar power systems may be technically feasible, there is no compelling evidence that such systems will be economically or operationally competitive with terrestrial-power generation systems in use or in development. However, this book does find that there may be some utility in the limited application of space-based solar power to enable operations in remote and forward operating locations.